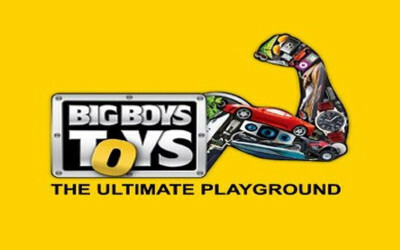 ORLANDO, Fla. - November 13, 2015 - FlightScope®, a world leader in the development and manufacturing of 3D Doppler club and ball tracking monitors, golf radars and launch monitors for sports, today announces its team will be in attendance at this year's Big Boys Toys Show in Abu Dhabi, November 18 - 21. At the show FlightScope will present the Xi Tour and X2 Elite, two of its most advanced products used by professional golfers and coaches around the world. A demo area will also be set up so attendees can try out the technology firsthand on their own golf swing. "The Xi Tour and X2 Elite are two of the newest products we have released this year and both offer golfers unparalleled access and insight into their game at a level that is usually only available to professionals," said Henri Johnson, CEO of FlightScope. "FlightScope is the best tool for golfers around the world looking to improve upon their skill and show off their new abilities." The Xi Tour is a smaller unit in comparison to some of FlightScope's other tracking devices, but packs a big punch in accurately analyzing all aspects of users' golf games. The size also lends the product to being an easily portable device. Providing ball and club data such as speed, launch angles, spin axis, distance, landing, angle of attack, club speed and acceleration, swing planes and more, the Xi Tour gives users insight into cutting-edge technology and data parameters only previously available in professional models. As one of the most advanced launch monitors available on the market today, the X2 Elite from FlightScope provides a higher level of performance, increased signal-to-noise ratio that results in better consistency, and unmatched accuracy on every measurement and data parameter that users dial-in. In addition to next generation 3D Doppler tracking radar design, this top-of-the-line tracking device boasts enhanced battery technology, a built-in Wi-Fi boresight camera, a universal external camera mount, and overall updated style from previous models. Users also have the ability to play more than 85 courses with TruGolf's E6GOLF, a virtual golf simulation for the home providing swing analysis and driving range. "We're excited to be showcasing the Xi Tour and X2 Elite at Big Boys Toys," adds Johnson. "This is a premier event for luxury goods and technologies, and attendees are interested in seeing the best quality items. For pros and avid golfers, FlightScope is the product to use, and we're looking forward to the opportunity to demonstrate this to consumers at the show from all across the globe." Big Boys Toys is an annual event focusing on the latest designs and advancements in high performance vehicles, high tech racing machines, all-terrain and 4X4 vehicles, high powered boats, aviation products, luxury lifestyle items, digital technologies, wellness technologies, adventure tourism and renowned fashion brands. FlightScope will be demoing its products at stand #605 during all four days of the show.